The minimum number of people for this tour to run is 3 in case of the shared tour. The maximum is 8. Pickup time is usually around 9:00 a.m. The exact time will be confirmed 48 hrs before the tour starts. We return you to the pickup point at around 7:00 p.m. Please wear comfortable clothing and footwear. Bringing a swimsuit, towel, and sunscreen is recommended. Please note that some people do get seasick on this trip. If you would like some recommendations regarding medication/prevention, please contact us. A day of pure exploring, this tour is filled with surprises around every corner. 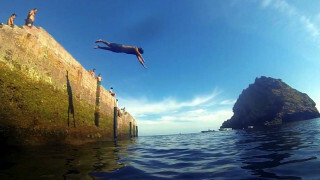 Discover a protected island with an ecosystem as rich and interesting as its history. 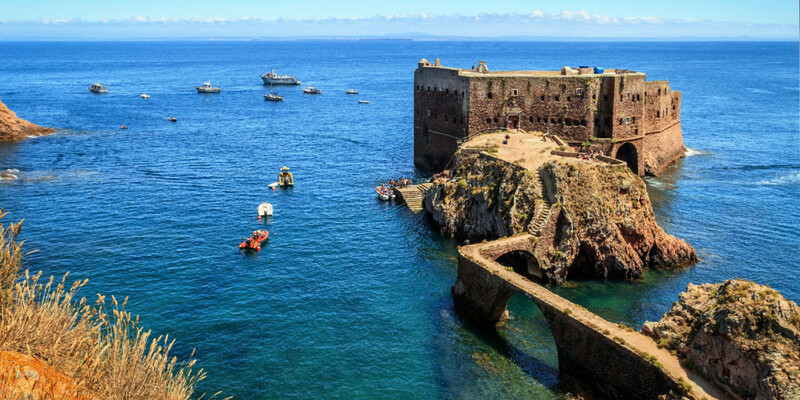 Following the hotel pickup, we meet our expert local guide and head to Peniche, a charming fishing village where our boat awaits. 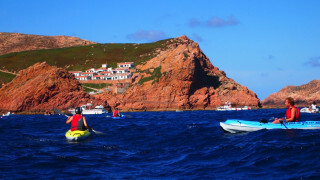 We get onboard and begin our 45-minute scenic crossing to the island of Berlenga Grande. 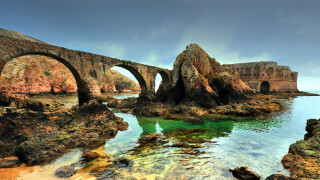 The island only allows a maximum of 350 visitors daily to ensure that its natural, unspoiled beauty remains protected. 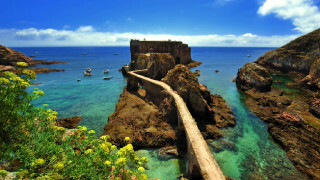 The entire Berlengas Archipelago - which includes the islands Estelas, Farilhoes, and Berlenga - has many rare and endangered species, like the puffin, which is the official symbol of the Nature Reserve. Stay alert, as there are many unique animals peaking from behind the trees. 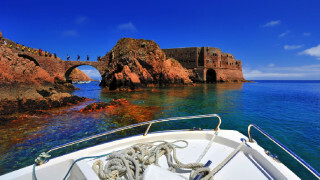 We take another quick boat ride to the St. John the Baptist Fort, located on a small islet off the southeastern coast of Berlenga Grande. 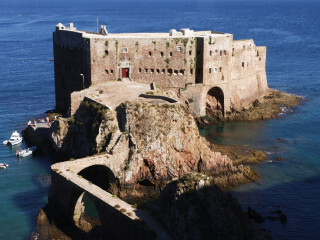 A fortress that was built from the ruins of an old monastery, the structure's history stems back to the early 16th century. Your guide tells you all about it as you admire the ancient details. Afterwards, we head out to discover the island's fauna and flora by taking a pleasant one-hour hike through the reserve. Just when energy begins running low, we stop for a relaxing lunch. You can choose to eat at one of our seafront eateries, or feel free to bring your own picnic, which you can enjoy on the beach. One of the tour's highlights is the cave kayaking excursion. The island's caves and rugged cliffs are perfect for explorers. 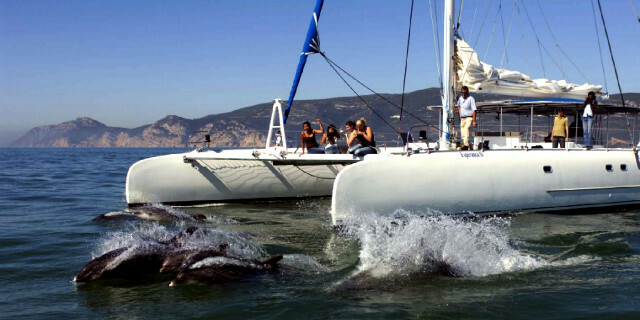 And if you prefer something less demanding, you can ride a glass-bottom boat instead. 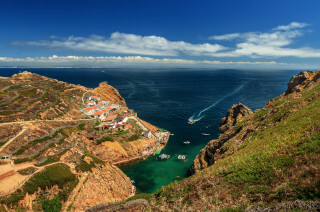 We return you back to your hotel at around 7:00 p.m. You will certainly see many wonderful sites in Lisbon, but nothing offers as much natural beauty as you can see on this full-day adventure.